In the last decade, news reporting on the U.S.-Mexico border has been decimated by the closing and downsizing of U.S. media organizations, censorship of Mexican media and the explosion of drug violence on the Mexican side of the border. In response, reporters and citizen journalists on both sides of the border have turned to social media, especially Twitter, to seek out information about events in Mexico and report on them. Many have been killed or threatened for using social media. Learn how journalists and citizen journalists along the border use social media and other tools to report about violence in Mexico and to find missing persons. The panel will be comprised of seasoned reporters and an expert on Mexico and border issues who will talk about the difficulties and successes of covering the region during a challenging time in history. Dr. Guadalupe Correa-Cabrera is assistant professor and Chair of the Government Department of the University of Texas at Brownsville. Her areas of expertise are Mexican politics, Mexico-U.S. border relations, immigration and organized crime. Guadalupe’s most recent book is entitled Democracy in “Two Mexicos”: Political Institutions in Oaxaca and Nuevo León (Palgrave Macmillan, 2013). She is currently developing a project on the sources of violence and organized crime in the Texas-Tamaulipas border region. The project has been supported by the Open Society Institute and the Social Science Research Council through the Drugs, Security and Democracy (DSD) Postdoctoral Fellowship. Guadalupe is now working on a new book entitled “Los Zetas Inc.”: An Emerging Multinational Corporation and Mexico’s Civil War. Melissa del Bosque is a staff writer at The Texas Observer magazine. She specializes in reporting on immigration and the U.S.-Mexico border. Her work has been published in national and international publications including TIME magazine and the Mexico City-based Nexos magazine. Her work has also been featured on NPR, Latino USA, Democracy Now! and PBS. Sergio is the Interactive Manager for KGBT-TV whose website has become one of the most popular along the U.S./Mexico border. Starting his career in print journalism, Sergio has worked along the border, Mexico and in the Dallas/Fort Worth metroplex. 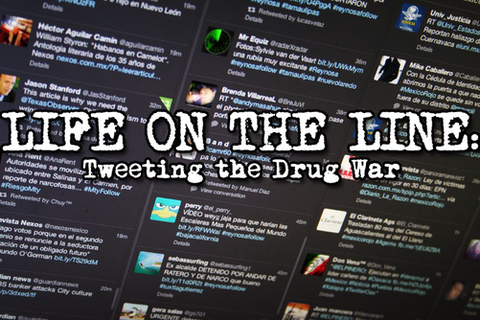 Sergio uses social media to report on the drug war south of the border, which has claimed more than 60,000 lives over the past seven years.